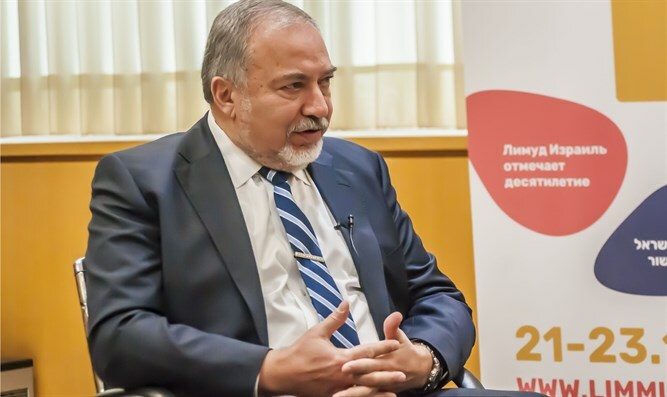 Defense Minister Avigdor Liberman (Yisrael Beytenu) spoke on Wednesday morning at the Limmud FSU conference about the possibility that Israeli Prime Minister Binyamin Netanyahu may be indicted. The event, held in Eilat, is the organization's tenth in Israel. Netanyahu is currently being investigated on suspicion that he received cigars and champagne from wealthy supporters, including Israeli businessman and Hollywood producer Arnon Milchan and Australian tycoon James Packer. However, Netanyahu does not smoke. A second case involves suspicions that Netanyahu sought more favorable coverage with the publisher of the popular Yediot Aharonot newspaper. On Tuesday night, Netanyahu spoke about the possibility that the police may recommend that he be tried, noting that over 60% of "start with explosive headlines, and most of the time it ends with nothing, but meanwhile something is happening: In the meantime, these people are being destroyed and their blood is being shed." "I understand Netanyahu," Liberman said. "No one is wiser than a person with experience. The Prime Minister is also innocent until proven guilty. My suggestion to Netanyahu is that he should not resign, even if he is indicted." "I am more than certain that Netanyahu should not resign. A minister can return to his post after the court has made their decision, like I did. However, a prime minister cannot do the same without calling new elections. This is merely a political shake-up, so even if he is indicted, that doesn't mean he'll be convicted. We should wait for the court's decision." Liberman also said he believes a prime minister can continue dealing with state issues during his trial. "In my estimation, you can run both a country and a trial," he said. "If you are innocent and believe in the truth of your path - stick with it to the end." Regarding the recent rocket attacks on Israel's south, Liberman said, "Hamas understands that they are losing with every day the conflict continues. Every day, we harm their strategical options, and what they have left is to play the blame game. We have succeeded in wiping out six operatives, two of them very central. In the next six months, we will succeed in destroying all of the terror tunnels, and this, too, is a central reason for the pressure they are under." Liberman also noted that "the leadership in Israel's southern municipalities is sending a message of strength and calm. The only pressure is coming from the Knesset's opposition, which insists on hysterics and criticism. I guess they're bored. It looks like they've internalized the fact that the next elections will be held on November 5, 2019."